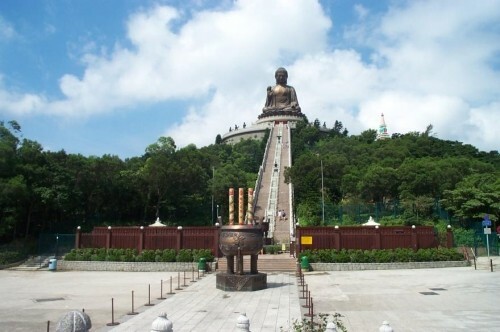 In Hong Kong a 5.8 km long cable car will be erected by Leitner ending at the tourist attraction the Great Buddha statue next to the Po Lin monastery. 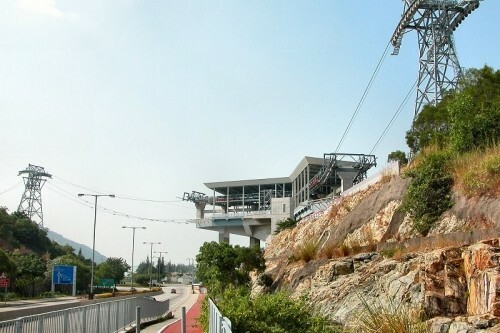 The cable car is designed as a bi-cable circulating aerial ropeway in two sections. From Thung Chung (Lantau Island) the journey goes to the new airport island (Chek Lap Kok) and further passing by the sea and a country park up to the Po Lin monastery at Ngong Ping. The duration of the journey will be 15 minutes with a full capacity up to 3500 persons per hour and direction. The completion is planned in 2005. 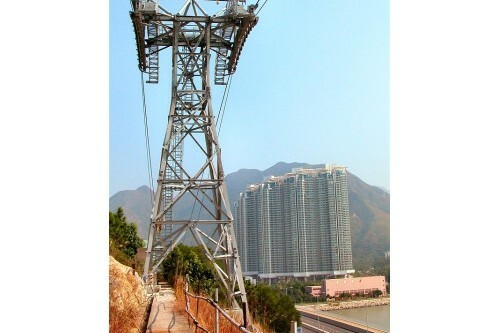 The cable car will have apart four station buildings eight towers with 20 to 60m height. Two towers (tower 3 and 7) host rescue facilities for the case of an emergency, and tower 3 is designed with a rope fixing in order to restrict the deflections of the track ropes. 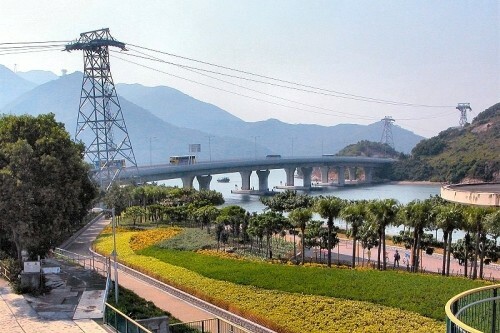 The towers have been designed to sustain a typhoon of 220km/h wind speed, which can be speed up due to local geographical situation to 270km/h. The steel mass of the towers has been calculated with about 1000tons.